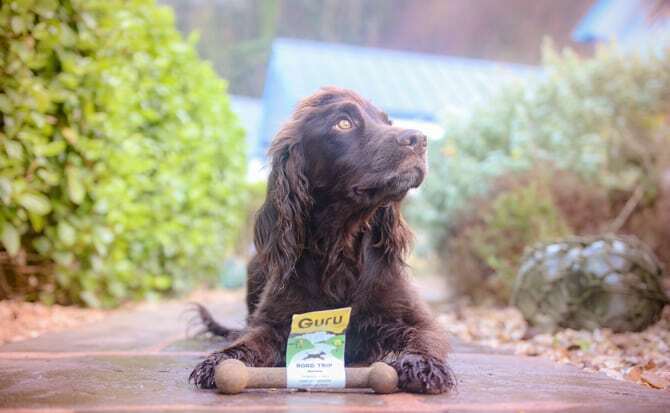 Severus and Lily have eaten Guru Pet food since last Summer, and being “ambassadogs” of the brand, we’ve also learnt a lot more as time has gone on. Being true Geeksters and spreading the Guru love, wherever we go, including puppy parties at work and colleagues too. 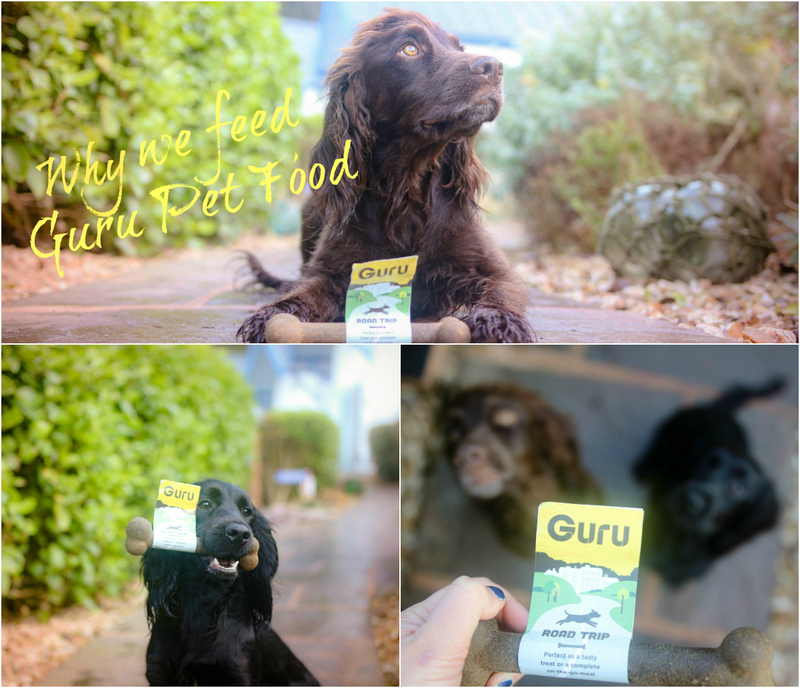 So, why do we feed Sev and Lily Guru Pet Food? Cold pressed food is premium quality, meaning your pooch will only get the best! It’s a new method of preparing the dog food, meaning the nutrients are preserved better by gently grounding and mixing the ingredients together. For the everyday dog owner, this basically means that instead of the “normal” dry kibble swelling and expanding in the stomach, Guru breaks down and lets out the nutrients. This helps retain all the ingredients nutrition, aroma and vitamins which are essential for growth, digestion and good health. So, they are spaniels after all and although they certainly know when breakfast and dinner time is, they aren’t constantly begging for food. They eat their meals and are satisfied for a longer amount of time. We’ve also found fussy dogs seem to like it more too, recently sharing it with our friend Skipper (the Springer Spaniel) who can take up to an hour to finish his meals. The idea of trip bones, to me, is amazing. Not only because we’re on the go a lot, travelling around for our blog and instagram, meaning it’s a quick and easy snack to have in the car. Also because they’re being fed their normal dog food, within a treat bone. Perfect if your pooch has a sensitive stomach and can’t be switched around or fed different treats. Severus and Lily love the Guru Trip Bones, and we always have a stash at the ready for every road trip, visiting friends and family, or just at home when they’ve been extra good dogs. Guru is a small independent business, meaning they put love into everything they do. Every customer means so much to them, and they have time to answer questions and help out when they can. On instagram alone you can see how wide the Guru love spreads, and that’s because they take time to know when people share the positive and successful stories. Never being just a number or a sale, but buying into the Guru way of life.